University of Chicago Press, 9780226065588, 572pp. The first edition of The Rhetoric of Fiction transformed the criticism of fiction and soon became a classic in the field. 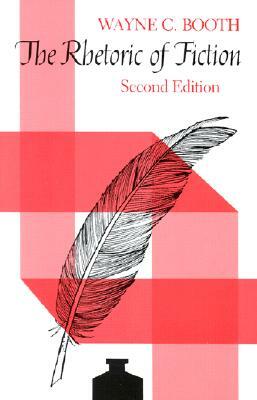 One of the most widely used texts in fiction courses, it is a standard reference point in advanced discussions of how fictional form works, how authors make novels accessible, and how readers recreate texts, and its concepts and terms--such as "the implied author," "the postulated reader," and "the unreliable narrator"--have become part of the standard critical lexicon. For this new edition, Wayne C. Booth has written an extensive Afterword in which he clarifies misunderstandings, corrects what he now views as errors, and sets forth his own recent thinking about the rhetoric of fiction. The other new feature is a Supplementary Bibliography, prepared by James Phelan in consultation with the author, which lists the important critical works of the past twenty years--two decades that Booth describes as "the richest in the history of the subject. Wayne C. Booth (1921-2005) was the George Pullman Distinguished Service Professor at the University of Chicago. His many books include The Rhetoric of Fiction, A Rhetoric of Irony, The Power and Limits of Pluralism, The Vocation of a Teacher, and Forthe Love of It, all published by the University of Chicago Press.